Getting that perfect gift for the special men in your life can be pretty daunting but you are in luck! We’ve searched far and wide to find amazing presents and stocking filler gift ideas for all the great men in your life. Our favourite place to go for all things pens and journals. 2019 is just around the corner so why not gift that special man in your life this amazing set featuring a rich tan leather journal and a black lacquer with gold trim pen. The Parker IM pen is a superb quality with perfect metal construction, whilst the handmade Amalfi journal is not only reusable but crafted with a plain insert, lined insert and also a dairy insert. What a perfect gift to keep him going all year round. Gift him this Satosense midnight ocean eye mask for a deserving relaxing sleep at night after a long day. We all know a good night sleep is the key foundation for a healthy physical, mental and emotional stable life and you can now attain that with the help of Satosense. Sato-Silk delivers an uncompromisingly luxurious sleeping experience helping him maximise his health benefits. It’s smooth lush texture makes it a perfect match for any skin type and it also has anti-ageing properties. We are in love! Nothing like a solid good underwear that is cool and comfortable all day long. You can opt for this white Jockey Microfiber Air Short Trunk featuring a smooth elastic waistband and a no-fly design. Crafted with a soft lightweight fabric and it is also a quick drying piece making it the perfect underwear for travel. Help him keep his beard intact. Clubman shave butter contains a rich blend of shape and cocoa butter that sets the beard up for a perfect shave. Skin is left feeling smooth and refreshed. Contains fresh ingredients that helps to minimise skin irritation and razor burn. Check out @clubmanuk for an outstanding grooming range and various options to put in that stocking. Men love exploring skincare options just as much as women do. With Skin Republic’s new collection targeting men’s specific skin concerns; from cleansing and exfoliating to hydrating and anti-aging. This revitalising serum-soaked sheet mask is just perfect, formulated specifically for men’s skin, targeting fine lines, wrinkles, loss of elasticity and firmness. Contains wrinkle-fighting agent CoQ10, vitamin E and smoothing vitamin C that helps to cool and hydrate skin after just 20 minutes his face is refreshed and reborn! Incredible right?! Here is man’s secret weapon to a perfect grooming time, a range of quality rack designed to leave him smelling and feeling good. The Bluebeards Revenge soap stack is a colourful scented soap set to bring luxurious suds to his shower. This big bundle of ingot-shaped bars in three captivating fragrances is suitable for showers, baths, hands and bodies. Now that’s one gift he will truly appreciate. If he won’t wear a Christmas jumper then maybe you can get him a pair of Christmas socks instead? It’s definitely worth a try. A true classic stocking filler and an essential any man will love. This Burlington socks are crafted in a comfortable viscose blend with designs that’s not just for Christmas but can be worn all year round. 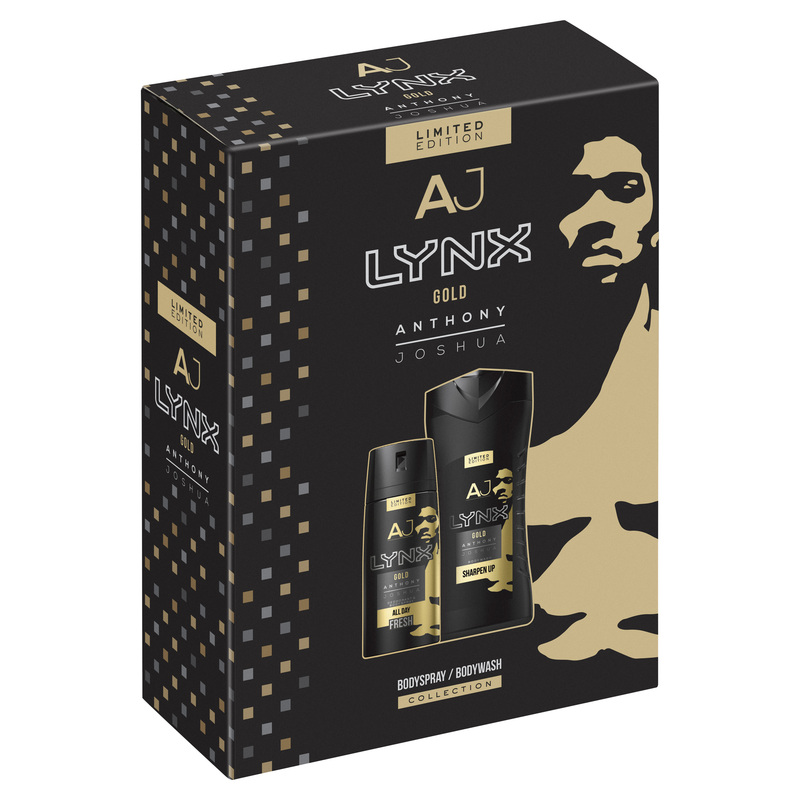 Nothing beats a Lynx grooming set and this exclusive limited-edition grooming set for Christmas by our favourite Heavyweight Champion of the World, Anthony Joshua would make a perfect present or stocking filler gift for the man in your life. The range includes a body spray and body wash in a classic masculine scent featuring Oudwood and Dark Vanilla sure to brighten up his morning and transform his daily shower to perfection. You can uplift his home with this relaxing fragranced I LOVE Reed Diffuser. This beauty emits alluring scents that lingers around the room. Carefully chosen scent to ensure that the diffuser creates a beautiful & calming environment for you and your partner to enjoy. We love everything I LOVE, check out their amazing range online now. We are in love with this Versus Kalk Bay Black Leather Strap watch by Versace. Featuring a water resistance, 3 hands date movement. A real fine piece for a gentleman.